The management of the Nigerian Ports Authority has said that it is putting measures in place to prevent future fire disasters around the nation’s seaports. The agency also reiterated its commitment to ensuring that the environment was safe for users. 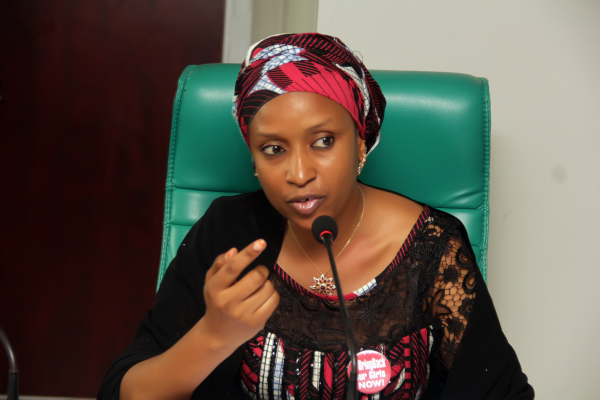 The Managing Director of the agency, Ms. Hadiza Usman, gave this commitment while sympathising with victims of the Tuesday fire incident at Tin Can Island Port Complex, Apapa. In a statement signed by the Assistant General Manager, Corporate and Strategic Communications, Isah Suwaid, on Wednesday, quoted Usman as enjoining port users, operators and other stakeholders to imbibe the tenets of safety and security dictates as required by the International Maritime Organisation. She assured the stakeholders of the agency’s firm resolve to make safety and security of lives and property at the nations’ seaports key priorities in its operations across the board. The statement read in part, “We assure all and sundry of a safe, secure and customer-friendly environment for the ease of doing business at the nation’s seaports. A fire had broken out on Tuesday at the Tin Can Island Port and PTML Nigeria occupied by clearing agents. The property was managed by Seaview Properties Limited. No fatality was recorded in the fire outbreak.